Back in my personal injury defence days I was told a story of a mediation that had been running all day and seemed to have no hope of settling, when the claimant requested something that she had never raised before and said it was a deal-breaker. Apparently she said she would take the deal on the table, as long as the defendant made her a novelty oversize cheque, like those given to lottery winners. And like that, the deal was done! It goes to show the value of knowing what the other side want out of a settlement. It has been reported that Eva Carneiro has been holding out for a public apology by Jose Mourinho (the suggestion being; it really wasn't about the money). Chelsea have apologised publicly but Mourinho has not. So what did unlock the settlement today? Was it all about the money in the end (it wouldn't be unheard of)? Was the intention always to get as much media attention as possible and has that now been achieved? Or perhaps the media attention was becoming too much? Or maybe it was always about the apology and perhaps it has now been given in private? 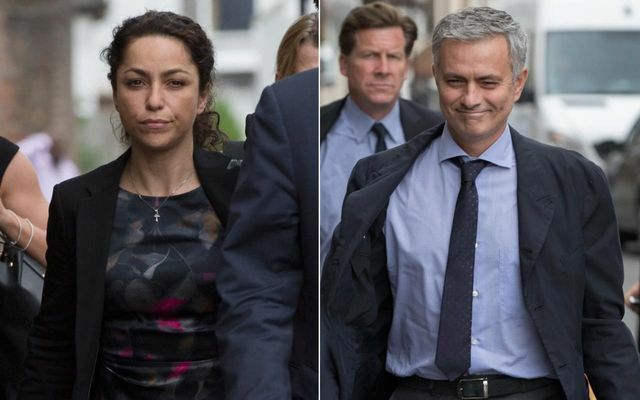 While the details of the settlement will not be made public, it was revealed on Monday that Dr Carneiro had refused £1.2 million to settle her claims with Mourinho and Chelsea. Addressing the tribunal, Daniel Stilitz QC, for Chelsea and Mourinho, said: "We are pleased to be able to tell the tribunal that the parties agreed a settlement on confidential terms." The case was expected to last seven to 10 days and could have led to potentially embarrassing witness statements and documents - including texts and emails - being made public.